As soon as a place is dubbed a “tourist attraction,” it seems to lose a little bit of its magic. Is it going to be mega packed? Will I be surrounded by selfie-sticks? 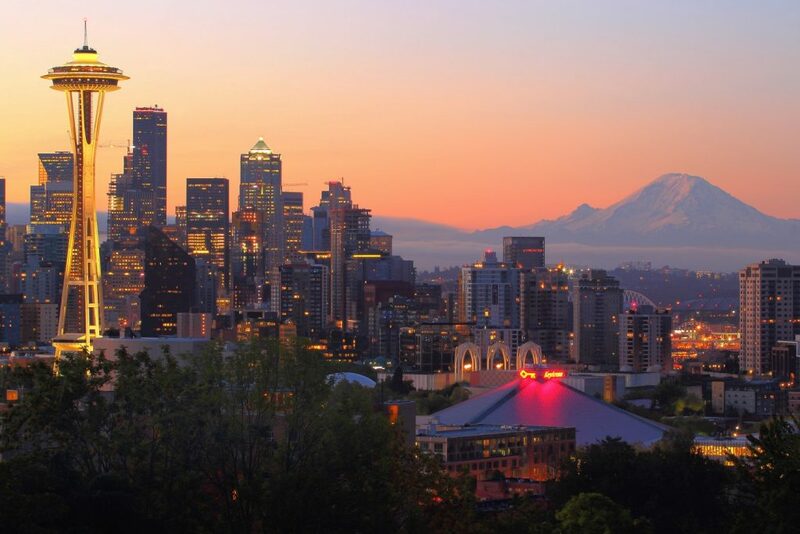 And with nearly 40 million travelers visiting our city each year, Seattle has its host of crowded destinations. And while we’re all for the “take the road less traveled” philosophy, there are times when you really should follow the pack and see what all the fuss is about. These are the five Seattle must-see attractions that, we admit, are super touristy, but that miraculously avoid the pitfalls of tourist traps. If you’re looking to avoid crowds, head to the iconic Seattle market on an early weekend or Monday morning. Catch the fishmongers tossing salmon from ice to counter to kick off the days’ sales, and watch the market quickly come to life with vendors and visitors alike. One of our favorite spots is the market’s rooftop urban garden (but sure, go ahead and stop by the gum wall, too). This landmark observation tower may seem like a little bit of a Seattle cliché, but trust us when we tell you, the view from the top suggests otherwise. Take in the Emerald City and all its surrounding glory—Mount Rainier, Puget Sound, The Cascades, and Lake Union all look pretty darn stunning from 520 feet. $22 gets you to the observation deck. Space Needle: 400 Broad St.
Take a ferry across Puget Sound for breathtaking views of Bainbridge Island or Bremerton. It’s a great way to see the city from a new perspective. In this case, the journey really is just about as cool as the destination. Learn more about Washington State Ferries here.